Being a bit of a social media junkie, stalking my favorite food trucks on Twitter has become a top-priority hobby. Luckily for me, ever since I’ve started at my fabulous new job in Manhattan’s Flatiron district, the trucks have been coming out in droves. 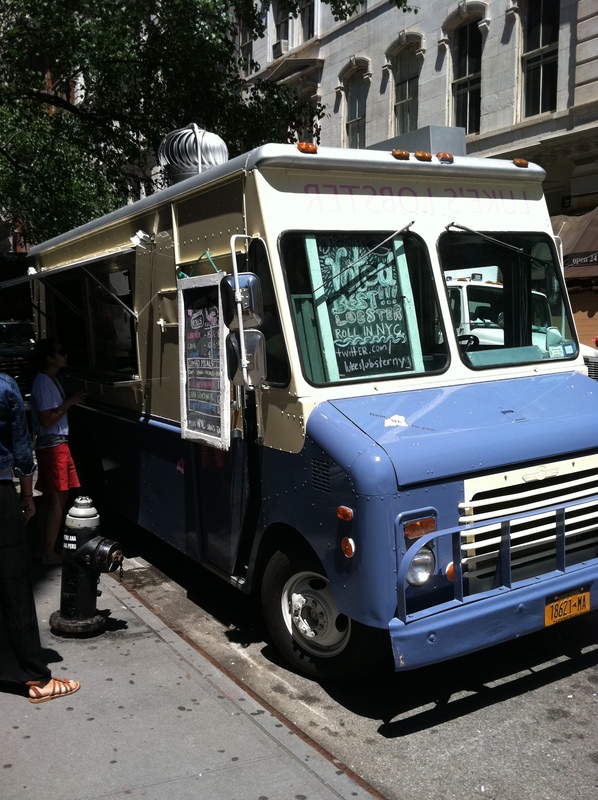 Most notably, Luke’s Lobster’s food-mobile, “Nauti” seems to be hitting up the hood on the daily! The crustacean connoisseurs at Luke’s are clawing their way up the lunch ranks – forget, “we could’ve had it all” – now you CAN have it all, and be Lobster roll-ing in the deep. If you’ve got a lunch budget like mine (read: shoestring), you’ve probably noticed that make-your-own-salad joints are multiplying in cost on the daily. Well folks, when Nauti’s on the block, it’s not exactly frugal Friday BUT if you eat like me and savor every bite, it’s not hard to make one of these precious roll creations into a full meal. Plus, these Lobster, Crab and Shrimp rolls ($15/$10/$8, respectively) are SO worth what you’re shelling out – and only get better if you make it a combo (+$2) with a drink, chips and a pickle. The rolls themselves are seemingly simple but with ingredients this fresh (delivered straight from Maine), letting the flavors speak for themselves is the key. While I’ve had these buttery bites in all roll varieties, my favorite is the shrimp – those little guys pack a BIG punch of flavor. I do always tend to go with 1/2 shrimp and 1/2 lobster – who can resist the namesake roll?! So if you’re not lucky enough to be within walking distance of one of Luke’s 4 NYC locations (E. Ville, FiDi, UWS, UES) or their new Washington, DC locale, fear not! 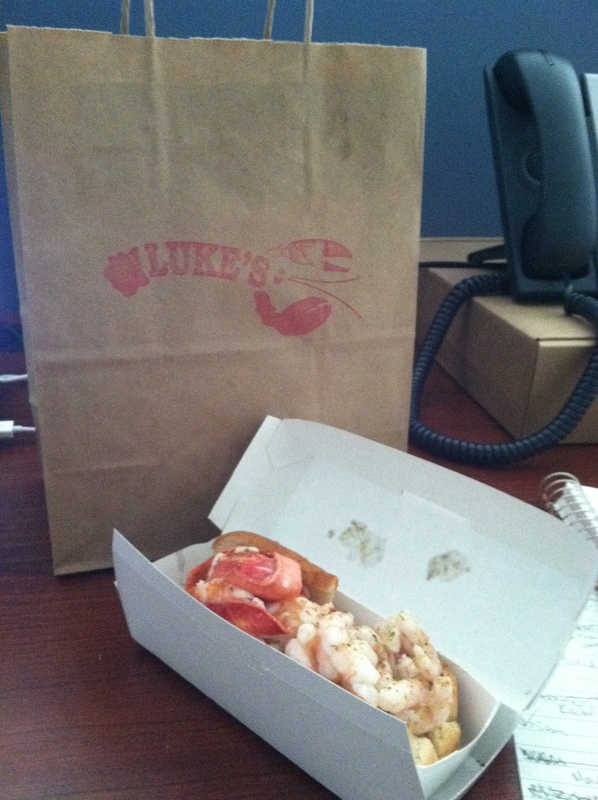 You can cherish that rare occasion when the Luke’s Lobster Truck is nearby – such a welcomed surprise! The morale of the story is this: when your boring lunch spots put you in a dining rut, check out Twitter or the new Zagats Food Tuck Site (still in beta) to find a food truck near you. If you’re lucky enough, you may just get a little Nauti on your lunch hour.